Take a look at this burnt Marshmello concept that is a twist on the current iteration. Marshmello is fresh off having a record-breaking virtual concert in Fortnite in early February. To go along with the event, Fortnite had a series of events called the Showtime Challenges that rewarded players with a new pickaxe, emote and spray. Before the event, Fortnite put a Marshmello skin up for sale which a lot of people scooped up for the concert. With Fortnite recently adding the ability light campfires in the environment, there have been a lot of jokes about roasting Marshmellos. This Reddit user took things to another level and created a ‘Burnt Marshmello’ skin concept of his own. The concept shows the head being lit on fire like you see if you put a marshmallow into an open flame. Instead of featuring the all-white look Marshmello has become known for, this skin will feature a black look to go along with the burnt aesthetic. This post ramped it up even more by showing the concept in action and performing an emote. 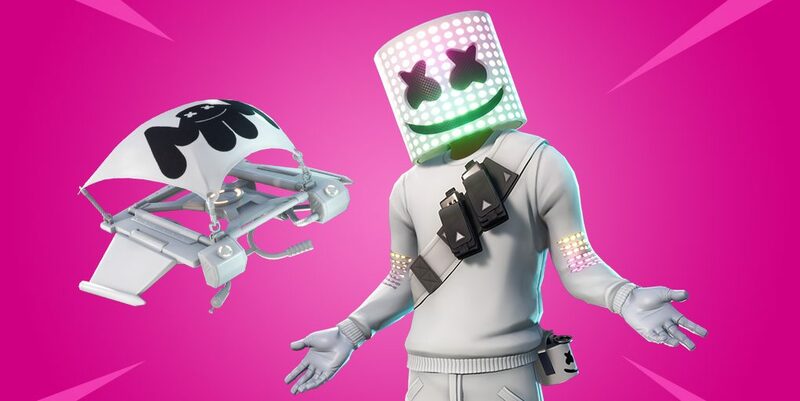 Since this is a skin made for Marshmello, it seems unlikely we’d ever see something like this come to fruition but it’s still cool to think about.